There is no question that opiate abuse – both legal and illegal is on the rise in all demographics. Congress introduced several laws last year and a rash of laws this year in response to the public awareness of the epidemic. The main thrust of most of the bills is promoting community education, substance monitoring systems, and criminal reform. Two laws and a few provisions in others are aimed at developing “best practices,” practitioner education, including making DEA registration renewal contingent upon mandatory courses. Historically, only about 1 in 4 bills are reported out of committee. On February 12, 2015, S. 480, the National All Schedules Prescription Electronic Reporting Reauthorization Act of 2015 was introduced by Sen. Jeanne Shaheen (D-NH) and referred to the Senate Health, Education, Labor, and Pensions Committee. The identical House bill, H.R. 1725 (below) was passed by the House on September 8, 2015. There has been no action by the Senate. On March 26, 2015, H.R. 1725, the National All Schedules Prescription Electronic Reporting Reauthorization Act of 2015 was introduced by Rep. Ed Whitfield (R-KY) and referred to the House Energy and Commerce Committee. The bill which is the same as Senate bill S. 480 (above) passed the House on September 8, 2015. Amend the National All Schedules Prescription Electronic Reporting Act of 2005 to include access to prescription history information for the investigative purposes of appropriate law enforcement, regulatory, and state professional licensing authorities. Allow Public Health Service grants to be used to maintain and operate existing state controlled substance monitoring programs, require the Department of Health and Human Services (HHS) to redistribute any funds that are returned among the remaining grantees, require a state to provide HHS with aggregate data and other information to enable HHS to evaluate the success of the state’s program, and expand the program to include any commonwealth or territory of the United States. Allow the Drug Enforcement Administration, HHS, a state Medicaid program, a state health department, or a state substance abuse agency receiving nonidentifiable information from a controlled substance monitoring database for research purposes to make that information available to other entities for research purposes. Require a state receiving a grant to: (1) facilitate prescriber and dispenser use of the state’s controlled substance monitoring system, and (2) educate prescribers and dispensers on the benefits of the system both to them and society. On February 12, 2015, S. 483, the Ensuring Patient Access and Effective Drug Enforcement Act of 2015 was introduced by Sen. Orrin Hatch (R-UT) and referred to the Senate Judiciary Committee. On February 11, 2016, the Committee recommended consideration by the full Senate. “imminent danger to the public health or safety,” for purposes of the suspension of such a registration, to mean that in the absence of an immediate suspension order, controlled substances will continue to be distributed or dispensed by a registrant who knows or should know, through fulfilling the obligations of the registrant under such Act, that the dispensing is outside the usual course of professional practice, that the distribution or dispensing poses a present or foreseeable risk of adverse health consequences or death due to the abuse or misuse of the controlled substances, or that the controlled substances will continue to be diverted outside of legitimate distribution channels. notify the applicant or registrant of the opportunity to submit a corrective action plan on or before such appearance. Require the Attorney General, upon review of any such plan, to determine whether denial, revocation, or suspension proceedings should be discontinued or deferred for purposes of modifications to such plan. how collaboration between federal, state, local, and tribal law enforcement agencies and the pharmaceutical industry can benefit patients and prevent diversion and abuse of controlled substances. On February 12, 2015, S. 524, the Comprehensive Addiction and Recovery Act of 2015 was introduced by Sen. Sheldon Whitehouse (D-RI) and referred to committee. On February 11, 2016, the Committee recommended consideration by the full Senate. Direct HHS to convene a Pain Management Best Practices Inter-Agency Task Force to develop: (1) best practices for pain management and prescribing pain medication, and (2) a strategy for disseminating such best practices. Authorize the Center for Substance Abuse Treatment to award grants to enable state substance abuse agencies, local governments, nonprofit organizations, and Indian tribes or tribal organizations that have a high rate of, or have had a rapid increase in, the use of heroin or other opioids to expand activities, including medication assisted treatment, for the treatment of addiction in the geographical areas affected. Authorize the Recovery Branch of the Office of National Drug Control Policy to award grants to expand prevention and educational efforts—particularly aimed at teens, parents and other caretakers, and aging populations—to prevent the abuse of opioids and heroin and to promote treatment and recovery. Prohibit the Department of Education from including any question about the conviction of an applicant for the possession or sale of illegal drugs on the Free Application for Federal Student Aid form. Direct HHS to establish a bipartisan Task Force on Recovery and Collateral Consequences to: (1) identify collateral consequences for individuals with drug convictions who are in recovery for a substance use disorder, and (2) determine whether such consequences unnecessarily delay such individuals from resuming their personal and professional activities. Amend the Omnibus Crime Control and Safe Streets Act to direct the Attorney General to report annually on how grants awarded under such Act are used for family-based substance abuse treatment programs that serve as alternatives to incarceration for custodial parents to receive treatment and services as a family. On February 12, 2015, H.R. 953, the Comprehensive Addiction and Recovery Act of 2015 was introduced by Rep. James Sensenbrenner (R-WI) and referred to the House Energy and Commerce and Judiciary Committees. This bill is identical to S. 524 above, which has been referred to the full Senate. On March 3, 2015, S. 636, the Increasing the Safety of Prescription Drug Use Act of 2015 was introduced by Sponsor: Sen. Tom Udall (D-NM) and referred to the Senate Health, Education, Labor, and Pensions Committee. No further action has been taken. Amend the Public Health Service Act to revise, update, and expand state controlled substance monitoring programs, which ensure that prescription history information is accessible for investigations into drug diversion and errant prescribing and dispensing practices. A state’s controlled substance monitoring program database must be interoperable with other states’ databases and electronic health records, and must provide up-to-date patient information to practitioners. Practitioners and dispensers are required to use the database. Database information cannot be used to conduct a criminal investigation against a patient. Certain entities are allowed to make nonidentifiable information from a database available for research. Federal health care workers must screen patients for abuse of controlled substances, conduct brief interventions, and provide referrals for known or suspected abuse of controlled substances. developing criteria and processes that allow health professions boards or state agencies to certify education and training for informed and safe prescribing of certain controlled substances. Practitioners who register or renew a registration with the Drug Enforcement Administration to dispense or conduct research with controlled substances must have completed specified continuing medical education. A registered practitioner must screen patients for drug abuse before prescribing certain controlled substances. This bill amends the Controlled Substances Act to increase the number of patients a practitioner is allowed to treat by dispensing narcotic drugs for maintenance or detoxification. Require the Food and Drug Administration to consider whether naloxone (a drug used to rapidly reverse overdoses of heroin and other opioids) should be a behind-the-counter drug instead of a prescription drug. On April 29, 2015, S. 1134, the Heroin and Prescription Opioid Abuse Prevention, Education, and Enforcement Act of 2015 was introduced by Sen. Kelly Ayotte (R-NH) and referred to the Senate Judiciary Committee. This is the same bill as H.R. 2805 (below). No further action has been taken. Require HHS, in cooperation with the Department of Veterans Affairs, the Department of Defense, and the Drug Enforcement Administration, to convene a Pain Management Best Practices Inter-Agency Task Force to develop and study best practices for pain management and prescription of pain medication. Extend the Harold Rogers Prescription Drug Monitoring Program through FY2020. The Government Accountability Office must evaluate the effectiveness of this program in reducing prescription drug abuse and any corresponding increase or decrease in the use of heroin. Require HHS to advance education and awareness of the risk of abuse of prescription opioids (drugs with effects similar to opium). The Office of National Drug Control Policy (ONDCP), in coordination with HHS and the Department of Justice (DOJ), must establish a national drug awareness campaign that emphasizes the similarities between heroin and prescription opioids and increases awareness of the dangerous effects of mixing fentanyl (a prescription opioid painkiller) with heroin. Allow the DOJ, in coordination with HHS and ONDCP, to make grants to state, local, or tribal governments to create demonstration programs to allow first responders to prevent opioid overdose death by administering an opioid overdose reversal drug (e.g., naloxone). Priority must be given to entities in states that provide civil liability protection for first responders administering a drug to counteract opioid overdoses. On June 17, 2015, H.R. 2805, the Heroin and Prescription Opioid Abuse Prevention, Education, and Enforcement Act of 2015 was introduced by Rep. Susan Brooks (R-IN) and referred to the House Energy and Commerce and Judiciary Committees. This is the same bill as S. 1134 (above). No further action has been taken. On May 13, 2015, H.R. 2298, the Medicare Patient Safety and Drug Abuse Prevention Act was introduced by Rep. Gus Bilirakis (R-FL) and referred to the House Energy and Commerce and Ways and Means Committees. No further action has been taken. Amend Medicare part D to authorize a prescription drug plan (PDP) sponsor to establish a drug management program for at-risk beneficiaries. Require a PDP sponsor, with respect to covered part D drugs, to have in place a utilization management tool designed to prevent: (1) the abuse of frequently abused drugs by individuals, and (2) the diversion of such drugs at pharmacies. Direct HHS to authorize Medicare drug integrity contractors (MEDICs) to accept directly an individual’s prescription and necessary medical records from pharmacies, PDPs, and physicians in order for MEDICs to provide information relevant to determining whether the individual is an at-risk beneficiary. Require the Inspector General of HHS to study the effectiveness of MEDICs in identifying, combating, and preventing fraud under the Medicare program. Express the sense of Congress that Medicare Advantage organizations and PDP sponsors should consider using e-prescribing and other health information technology tools to support combating fraud under MA-PD plans and prescription drug plans under parts C (Medicare+Choice) and D.
On May 20, 2015, S. 1392, the Safer Prescribing of Controlled Substances Act was introduced by Sen. Edward “Ed” Markey (D-MA) and referred to Senate Health, Education, Labor, and Pensions Committee. This is directed at practitioners. No further action has been taken. Amend the Controlled Substances Act to direct the Attorney General, as a condition of granting or renewing the registration of a covered practitioner to dispense, or conduct research with, controlled substances in schedule II, III, IV, or V, to require such covered practitioner to complete training that the Department of Health and Human Services (HHS) determines meets the requirements of this Act. A “covered practitioner” is a practitioner that is not a hospital, pharmacy, or veterinarian. tools to manage adherence and diversion of controlled substances. Direct the Substance Abuse and Mental Health Services Administration to establish or support the establishment of at least one free, online training module that meets such requirements to be provided to any covered practitioner registered or applying for registration. Require HHS: (1) to establish, maintain, and periodically update a publicly available database providing information on such training modules; and (2) within five years after enactment of this Act, to evaluate and make publicly available a report describing how exposure to training required by this Act has changed prescribing patterns of controlled substances. On May 21, 2015, S. 1431, the Prescription Drug Abuse Prevention and Treatment Act of 2015 was introduced by Sen. Joe Manchin (D-WV) and referred to the Senate Finance Committee. No further action has been taken. Amend the Public Health Service Act to require the Substance Abuse and Mental Health Services Administration (SAMHSA) to award grants for consumer education about opioid abuse. Amend the Controlled Substances Act to require medical practitioners to be trained in the treatment of opioid-dependent patients, pain management, and early detection of opioid addiction before they can be registered by the Drug Enforcement Administration to dispense opioids. Require that opioid treatment programs that close on any day must make arrangements for each patient to receive treatment during the closure, as necessary. Require that a report must be submitted to SAMHSA for each individual who dies while receiving treatment in an opioid treatment program. In states receiving funding for controlled substance monitoring programs, deaths where an opioid drug is detected in the body must be reported to SAMHSA. Require the National Center for Health Statistics of the Centers for Disease Control and Prevention must establish a National Opioid Death Registry to track opioid-related deaths. Require the Agency for Healthcare Research and Quality must develop and apply prescription drug abuse prevention and treatment quality measures. Amend Medicare part D to allow prescription drug plan (PDP) sponsors to limit the access of certain beneficiaries to frequently abused drugs. PDP sponsors must have a utilization management tool to prevent drug abuse. Medicare Drug Integrity Contractors may accept prescription and medical records to determine whether a beneficiary is at risk for prescription drug abuse. On October 8, 2015, H.R. 3719, the Stop the Overdose Problem Already Becoming a Universal Substance Epidemic Act of 2015 (STOP ABUSE Act of 2015) was introduced by Rep. Frank Guinta (R-NH1) and referred to the House Energy and Commerce and Judiciary Committees. No further action has been taken. Require HHS in cooperation with the Secretary of Veterans Affairs, the Secretary of Defense, the Administrator of the Drug Enforcement Administration, the Secretary of Homeland Security, and the Attorney General of the United States to develop “best practices.” The Committee must include physicians, dentists, non-physician prescribers, pharmacists, experts in the fields of pain research and addiction research, and representatives of the mental health treatment community, the addiction treatment community, and pain advocacy groups. Establish Grants for community-based programs to combat drug crises and incarceration related to drug use. Limit civil liability for volunteer workers at opioid overdose programs and those who provided such drug as part of the program, except for gross negligence or will misconduct. Establish treatment alternative to incarceration programs. Reauthorization of the high intensity drug trafficking area under the office of national drug control policy. 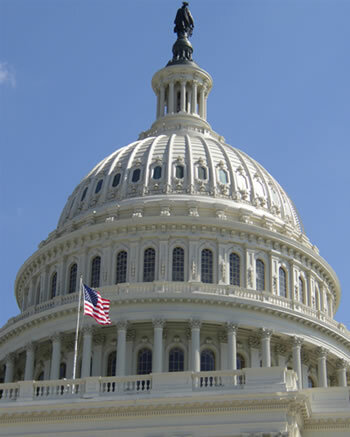 Reauthorize the controlled substance monitoring program. On October 1, 2015, H.R. 3677, the Opioid Prevention and Treatment Act of 2015 was introduced by Rep. Bill Foster (D-IL) and referred to House Energy and Commerce Committee. No further action has been taken. Require HHS to award grants to states to develop a peer review process to identify and investigate questionable or inappropriate prescribing and dispensing patterns of drugs classified as schedule II or III under the Controlled Substances Act, which are drugs with an accepted medical use that have the potential to be abused and addictive. develop continuing education criteria that allow health profession boards or state agencies to certify appropriate education for safe prescribing of schedule II or III drugs. Require the Health Resources and Services Administration to award grants to evaluate the prospect of state health professions boards expanding the authority of providers to prescribe drugs to treat drug abuse. Require the Drug Enforcement Administration to request that practitioners registered to dispense controlled substances screen patients for potential drug abuse before prescribing a schedule II or III drug. Require the Food and Drug Administration must consider whether naloxone should be available without a prescription. Require HHS to convene or coordinate with an interagency working group to encourage states and local governments to increase opportunities for disposal of opiates and to reduce opportunities for abuse of opiates. Require the Government Accountability Office to review federal opioid abuse activities and make recommendations to reduce opioid abuse and overdoses. On November 3, 2015, H.R. 3889, the Safer Prescribing of Controlled Substances Act was introduced by Rep. Yvette Clarke (D-NY) and referred to Committee. This is directed at practitioner education. No further action has been taken. Require “covered practitioners” (not hospitals, pharmacies, or veterinarians) authorized to prescribe controlled substances to complete continuing education as a condition of renewal of registration to prescribe a schedule II, III, IV, or V controlled substance. tools to manage adherence and diversion of controlled substances, including prescription drug monitoring programs, drug screening, informed consent, overdose education, and the use of opioid overdose antagonists. Require the Substance Abuse and Mental Health Services Administration to establish or support the establishment of not less than 1 training module (A) to any covered practitioner registered or applying for a registration under this part to dispense, or conduct research with, controlled substances in schedule II, III, IV, or V; (B) online; and (C) free of charge. Require HHS to establish, maintain, and periodically update a publically available database providing information relating to training modules. On January 28, 2016, H.R. 4396, the Heroin and Prescription Drug Abuse Prevention and Reduction Act was introduced by Rep. Frank Pallone (D-NJ) and referred to the House Education and the Workforce and Energy and Commerce Committees. Practitioner education. Practitioners would have to complete a 12-hour training during each 3 year renewal period. Co-prescribing opioid overdose reversal drugs grant program. Crisis management via grants needle exchange programs and programs to reduce drug overdose deaths. Treatment through evidence-based opioid and heroin treatment and interventions demonstration; adolescent treatment and recovery services demonstration grant program; strengthening parity in mental health and substance use disorder benefits; substance use disorder professional loan repayment program. Recovery through a national youth recovery initiative and grants to enhance and expand recovery support services. On February 2, 2016, S. 2479, the Expanding Access to Prescription Drug Monitoring Programs Act was introduced by Sen. Richard Blumenthal (D-CT) and referred to the Senate Health, Education, Labor, and Pensions Committee. The bill would amend the HHS grant programs with regard to controlled substances monitoring programs. As a condition of receipt of funds from the general grant program or the Harold Rogers Prescription Drug Monitoring Program each State must demonstrate that relevant prescription information in the prescription drug monitoring program maintained by the State is made available to all individuals authorized by the State to write prescriptions for Schedule II, III, and IV controlled substances. On February 3, 2016, H.R. 4447, the Opioid and Heroin Epidemic Emergency Supplemental Appropriations Act was introduced by Rep. Joe Courtney (D-CT) and referred to the House Budget Committee. This bill provides FY2016 supplemental appropriations for the Department of Justice (DOJ) and the Department of Health and Human Services (HHS) to address heroin and opioid drug abuse. The funds are designated as an emergency requirement, which exempts the funds from discretionary spending limits and other budget enforcement rules. For DOJ, the bill provides funds for State and Local Law Enforcement Assistance and Community Oriented Policing Services (COPS) programs. For HHS, the bill provides funds for: the Substance Abuse and Mental Health Services Administration, the Centers for Disease Control and Prevention, the National Institutes of Health, and the Public Health and Social Services Emergency Fund. On February 9, 2016, H.R. 4499, the Promoting Responsible Opioid Prescribing Act of 2016 (“PROP” Act) was introduced by Rep. Alex Mooney (R-WV) and referred to the House Ways and Means Committee. This bill addresses Medicare’s Value Based Program which gives hospitals incentive payments based on “how closely best clinical practices are followed, and how well hospitals enhance patients’ experiences of care during hospital stays.” The performance measures are: Clinical Process of Care Domain (proper performance of various standard operating procedures), Patient Experience of Care Domain, Outcome Domain (various complications and post-discharge mortality), Efficiency Domain (i.e., Medicare spending per beneficiary). The Patient Experience of Care Domain which includes nurse communication, doctor communication, hospital staff responsiveness, pain management, medicine communication, hospital cleanliness and quietness, discharge information, overall hospital rating. The bill requires the removal of following pain-related assessment measures from the value based assessment: (1) the need of such patients, during such stay, for medicine for pain; (2) how often, during such stay, the pain of such patients was well controlled; or (3) how often, during such stay, the staff of the hospital in which such stay occurred did everything they could to help the patient with the pain experienced by the patient.